Bright golden yellow blooms stand just above the vivid green, grass-like foliage from early summer into early fall. 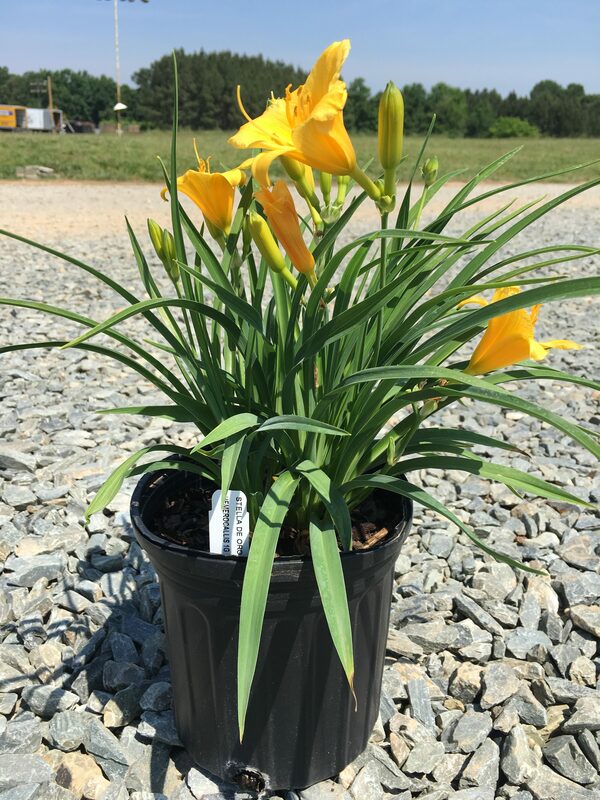 Stella de Oro is a compact grower with its foliage reaching just 12 inches in height. Prefers full sun and well drained soil.